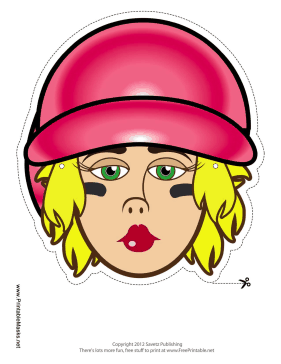 This fun female baseball mask has blond hair and green eyes, as well as stylish red lips and a pink hat. You can reenact parts of A League of Their Own in style behind the cover of this lady mask. This mask is free to download and print.